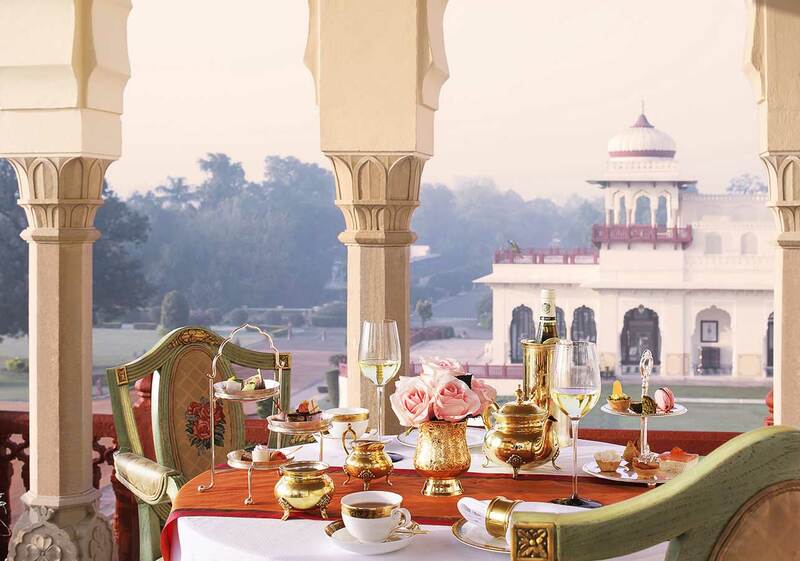 Rambagh Palace has been positioned as most exclusive Luxury Palace residence which has been converted into a hotel and is part of Grand Palace’s of the Taj Hotels Resorts and Palaces. 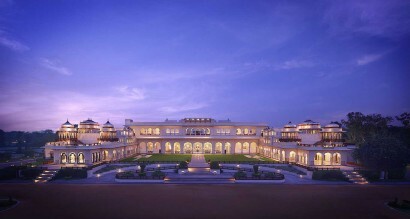 Rajasthan evokes images of erstwhile royalty, a history steeped in princely living and legends. Here one is transported back in time to relive Rajput history. The romance of Rajasthan comes alive at Rambagh Palace Rambagh Palace is a living legend in Jaipur. A palace veiled in the mists of time to narrate an interesting story. Built in 1835 on a modest scale for the queen’s favourite handmaiden Kesar Badaran, and later refurbished as a royal guesthouse and hunting lodge, the mansion was renamed Rambagh, after the then reining Maharaja Sawai Ram Singh II. His grandson, prince Sawai Man Singh II, was brought here on his accession in 1922. In those years princely living entailed having a school for the prince within the premises, so a private school was set up for a few chosen sons of aristocracy, to escape the confines of the city palace. Sawai Man Singh II later went to England to finish his studies. While in England he often dreamt of making Rambagh his official residence and palace. On his return he began actualizing his dream by converting Rambagh into the magnificent palace it is today, with neat manicured gardens, drawing inspiration from Mughal and Rajasthani styles of architecture. In 1925, Rambagh Palace became the permanent residence of the Maharaja of Jaipur. 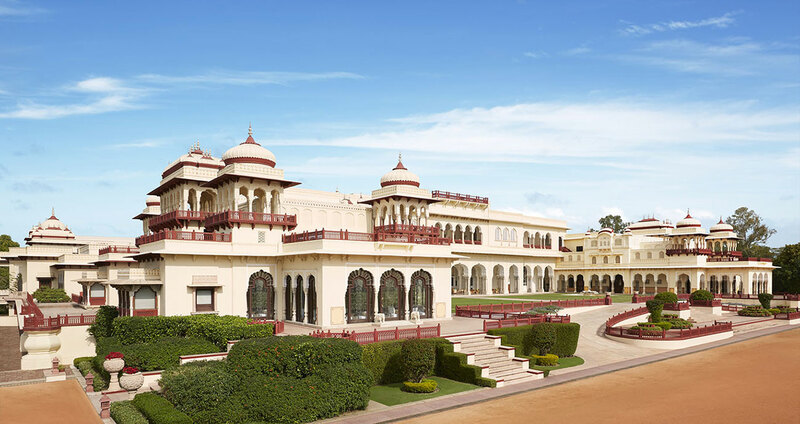 Rambagh remained the home of Rajasthan’s Royalty until 1957, when it was first converted into a luxury hotel run by the royal family. In 1972, the palace’s management was handed over to Taj Hotels Resorts and Palaces. Over the years Rambagh has played gracious host to several illustrious guests, royalty and celebrities such as Lord Louis Mountbatten, who has a suite named after him, Prince Charles, Jacqueline Kennedy and several others Continuing in the tradition of the Rajputana hospitality Rambagh Place offers a Royal Experience, which is truly unique. 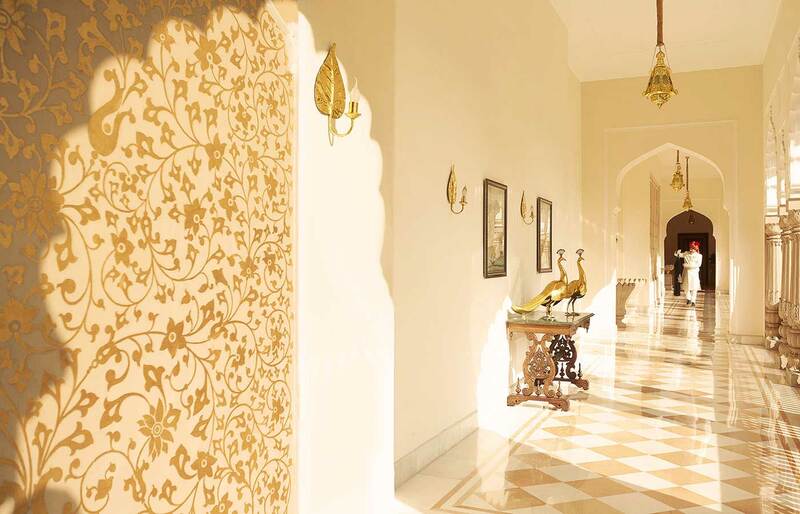 At Rambagh Palace, each wall, each room, each corridor and garden has a story to tell. Current Phase of restorations have been in a phased manner starting from 2001 and onwards and have been ongoing now foa decade without affecting any guest experience and were completed in January 2014. 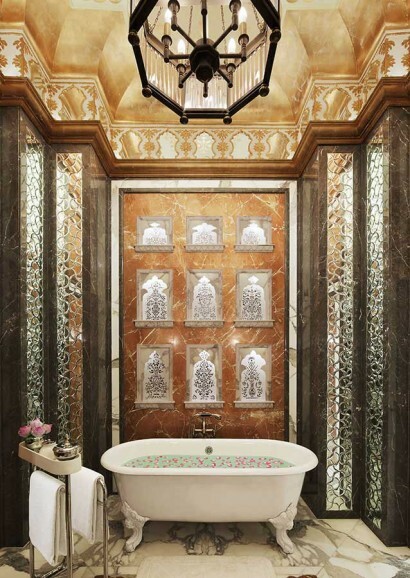 With emphasis on constantly upgrading the Palace facilities and upkeep to ensure that the Palace remains as the epitome of Luxury and experience offered to the discerning traveller is the best that can be offered across the board. Various Kids activities are arranged to keep the children engaged. • 2 Grand Presidential Suites Suryavanshi Suite & Sukh Niwas are the epitome of luxury with exquisite rich textured drapes and fabrics, chandeliers, arched windows and embellishments creating an ambiance of sheer luxury and decadence. 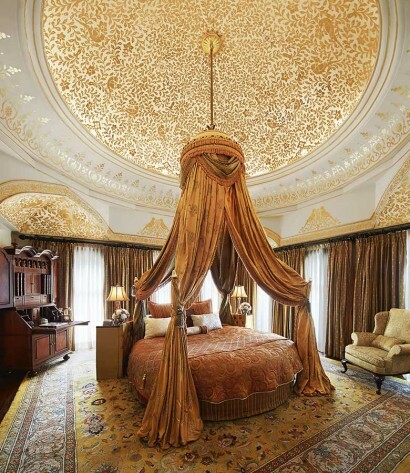 Renowned international celebrities and heads of states have had memorable stay experiences in these suites overlooking the manicured gardens of the palace. 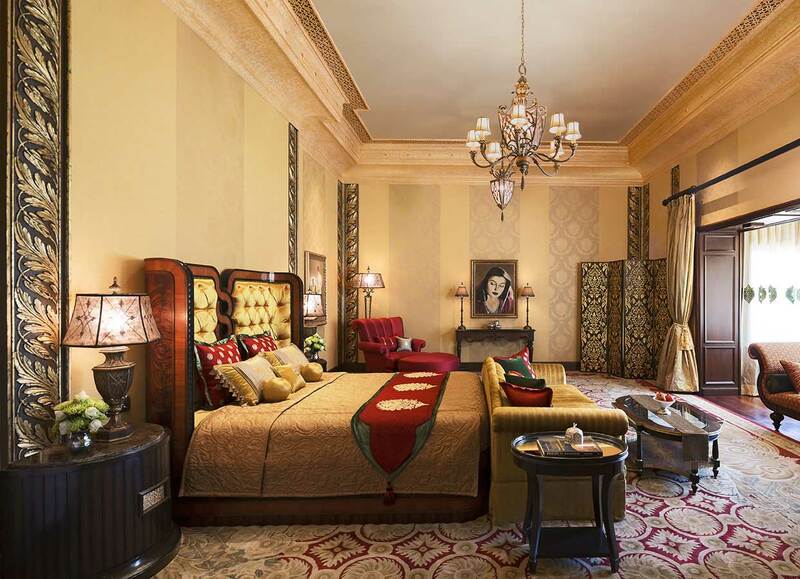 • 3 Grand Royal Suites Originally part of the private chambers of the royal family, these grand luxurious suites have been carefully restored to preserve the original architectural style of the Palace. From the richly-textured furnishings to the arched French windows that frame splendid garden views, Maharani, Rajmata Gayatri Devi Sute and Prince’s Suites exude a stately elegance reserved for a chosen few. • 5 Royal Suites The Royal Suites exuding luxury and grandeur have a large bedroom, a sitting area & garden view. 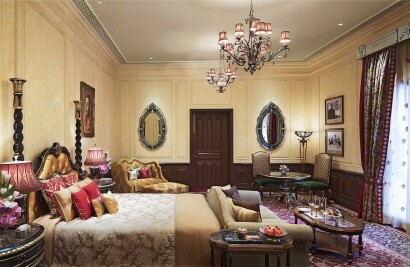 These themed suites built around a grand design on lines of Peacock, Sawai Man Singh Suite, Pothikhana , Badal Mahal and Rang Niwas display rich silks and delicate artwork and create a spectrum of colours that infuse the suite with a warm glow and regal ambience where guests can relive history or be mesmerised by its sheer opulence. • 23 Historical Suites The Historical Suites have a distinctive style. There is a choice of new and contemporary suites as well as the original theme-based suites such as Mountbatten Suite and Pothikhana. 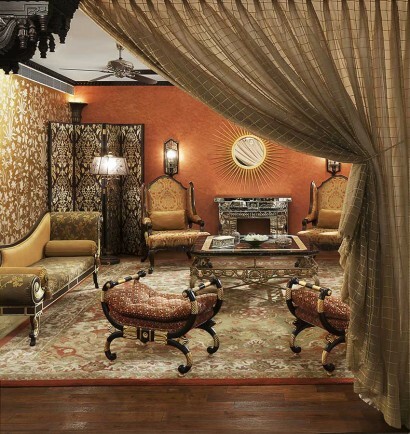 Rich with memories of a bygone era, historical suites recreate an old world mystique and provide an oasis of calm. • 41 Palace Rooms The Palace rooms are retreat for the senses, rich in terms of textures and colors; each Palace room has been redesigned for comfort and is unique in style. • 5 Luxury Rooms The Luxury rooms open onto a courtyard which overlooks the sprawling front lawns that further expands to the Moti Doongari fort. Four-poster beds, walk-in wardrobes and spacious bathrooms cocoon guests into the palatial experience. Some suites and rooms have a separate sitting area and are overlooking gardens or inner courtyard. Bath areas have bath tubs with individual shower cubicles. The rooms are provided with a mini bar, Elsafe, tea/coffee maker, hair dryer. • Rajput Room An all day dining restaurant serving multi – cuisine menu is graced with Rajput architecture. • Suvarna Mahal Indian specialty restaurant set in the original banquet hall of the palace, recreates the grandeur of Indian royalty. Open only for lunch & dinner the restaurant offers a royal fine dining experience. • Verandah Café The alfresco dining option overlooking the landscaped gardens and the Moti Doongari Fort, serves Indian and Continental cuisines. • Polo Bar Resplendent with the Maharaja’s Polo trophies, offers the perfect choice to unwind, serving aperitifs, drinks and cigars. • Steam A lounge bar quite unlike any other, this restored steam engine, complete with a recreated Victorian style station. Along with a fine selection of liquors, the bar offers up delightful snacks menus and wood-fired Italian crust pizzas. 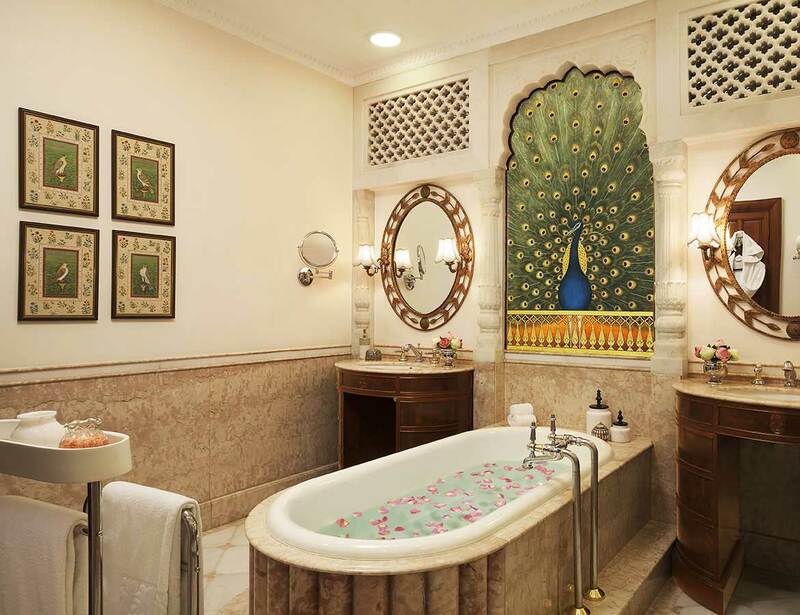 Jiva Grande Spa The Jiva Grande Spa provides guests with an exclusive opportunity to experience holistic Indian treatments ranging from Indian aromatherapy massages, body scrubs and wrap, royal baths and signature treatments from Royal Houses.